You should be putting these on everything… really EVERYTHING! 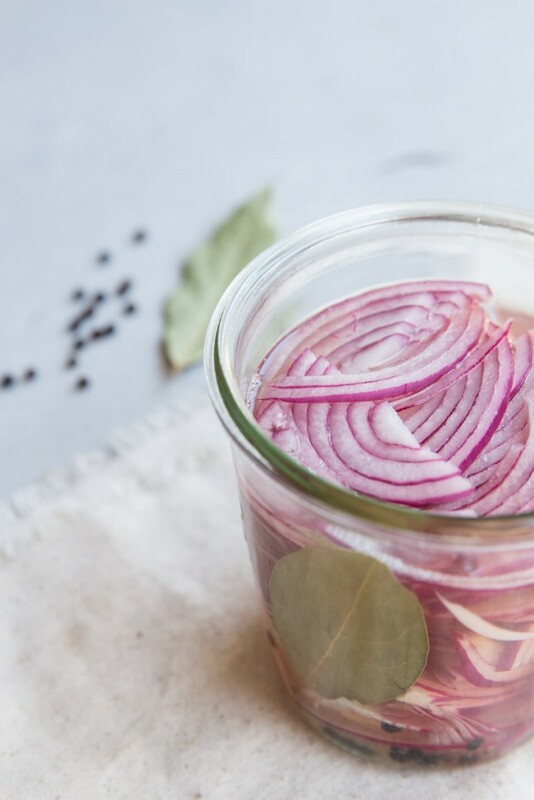 Pickled red onions, boost the flavor of just about every summer meal, from salads to burgers and all foods in between. We like them on our eggs, we like them on our rice and beans, we like them with chicken, and we like them with greens. Yes, I like them Sam I am! 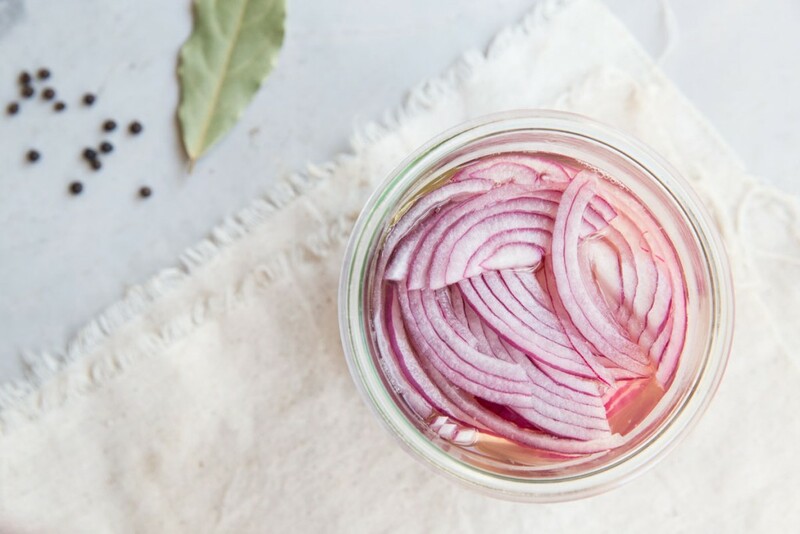 Having something like pickled onions on hand just steps up our family’s food game a little. 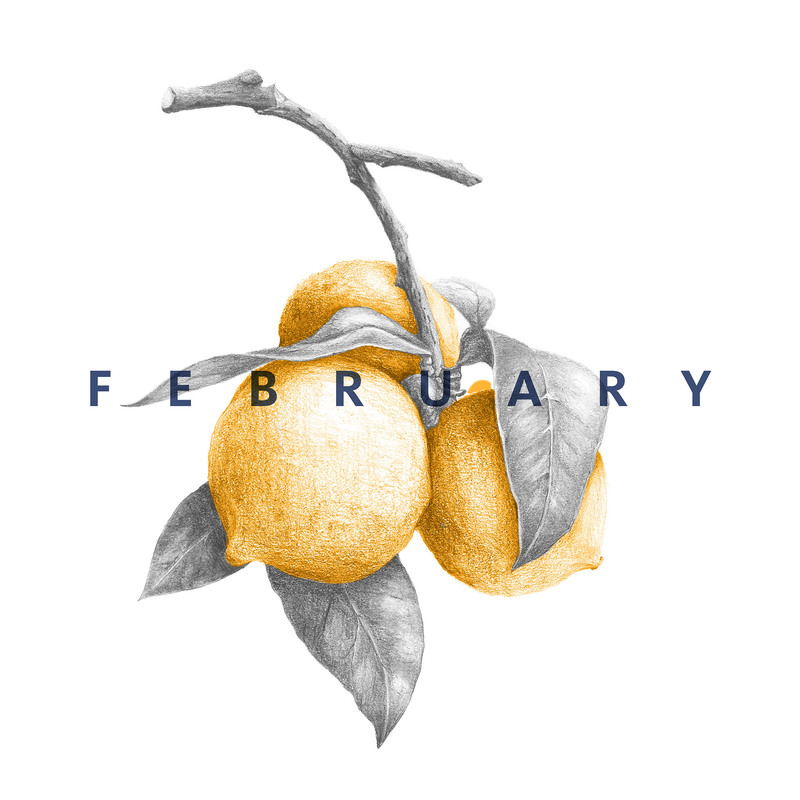 We prepare them at the beginning of the week and enjoy all week long. Something just feels a little fancy when you have a homemade condiment to add to casual weeknight meals. 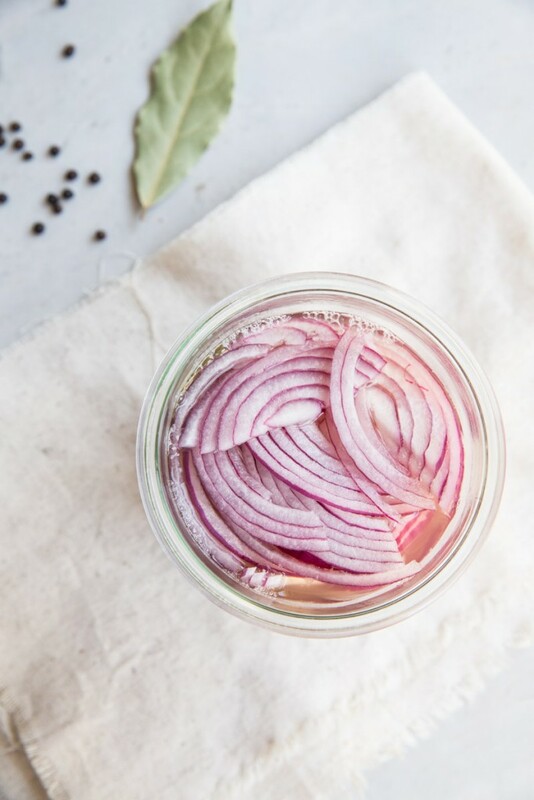 Here are a few recipes from the archives to use this pickled red onions with and I’ll be sharing more ideas soon! 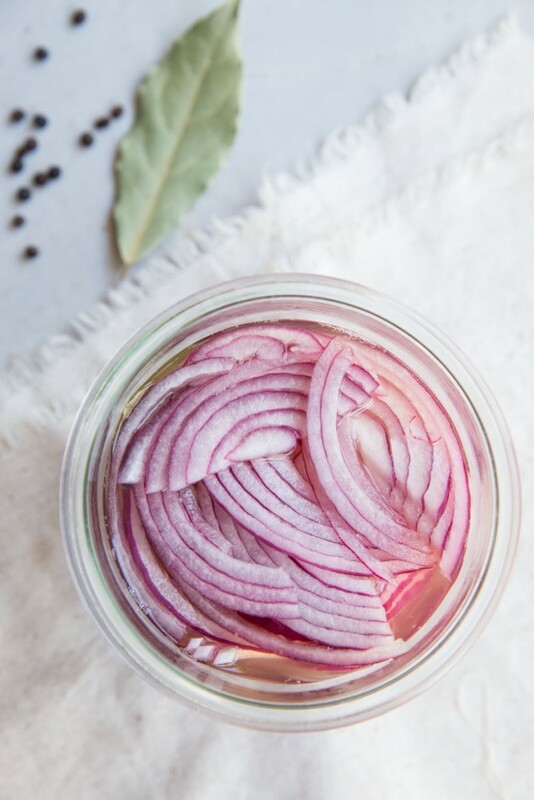 A quick and easy recipe for pickled red onions. These are so easy you'll be making them as toppings on everything! In a small saucepan, bring the vinegar, water, agave, and salt to a simmer then remove from heat. 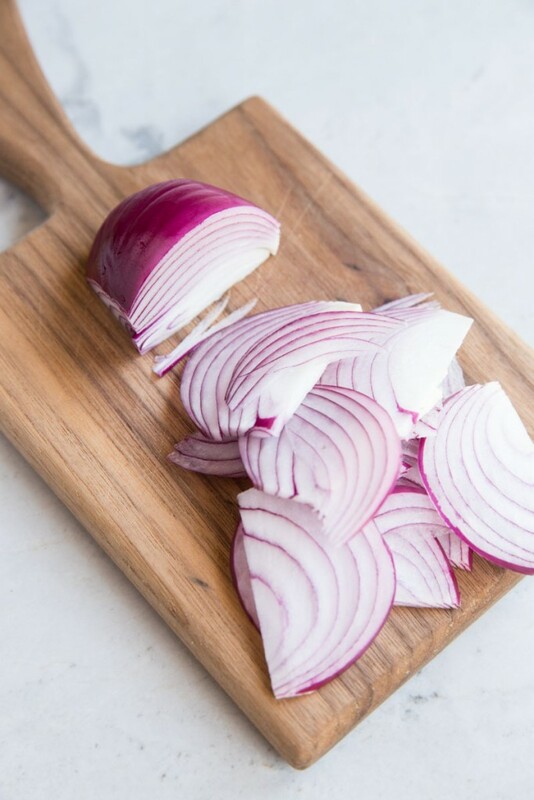 Slice the red onion thin along the natural lines of the exterior, then place the slices in a jar. and add in any additional flavorings that you like (I use what I have on hand but you can also go without). 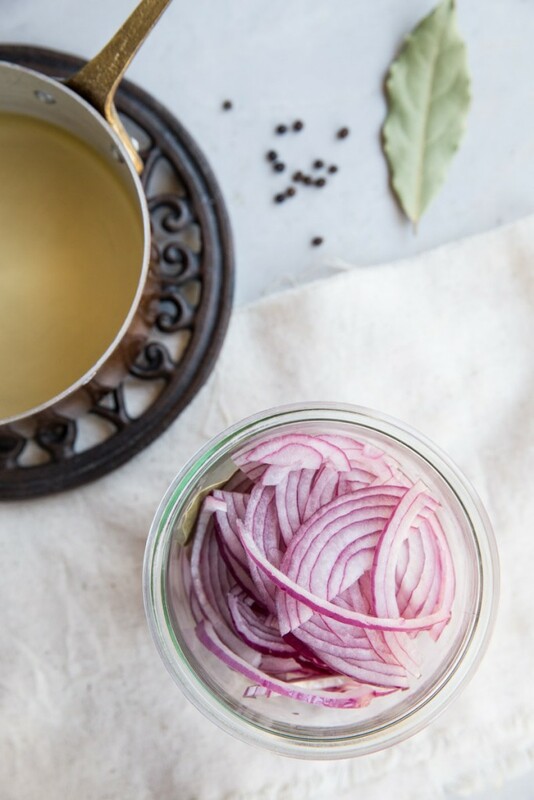 Pour warm vinegar mixture over the onions and let sit at room temp for 20-30 minutes. 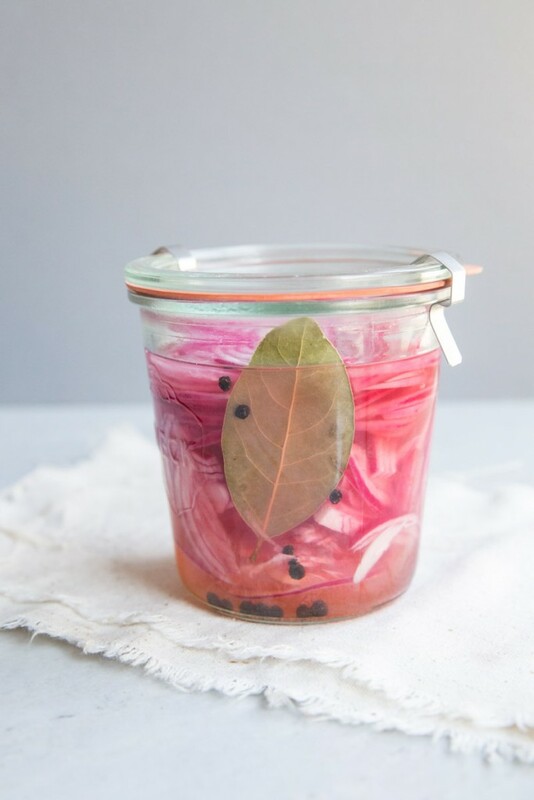 Cover the jar with a tight lid and store in the fridge for 1-2 weeks. Serve with tacos, over salads, over potato pancakes, etc etc. I’ve made some before that used primarily lime juice. I like the ease of your recipe! 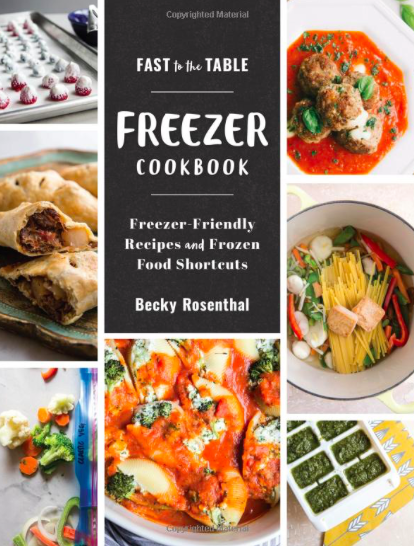 Love all the accompanying recipes, too! Lime juice! That sounds interesting too. I guess you’d sub the vinegar for lime juice. I’ll try that too!